A VAST NEW ENRGY SOURCE? for more than a fiftieth of a century! 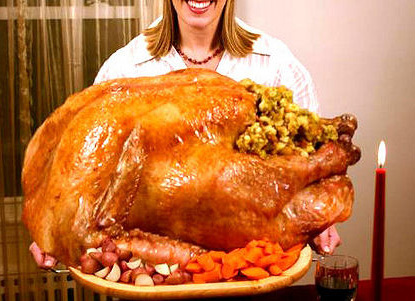 Anti News #75: Blubberocracy: America's Holiday Weight Gain- New Energy Source? 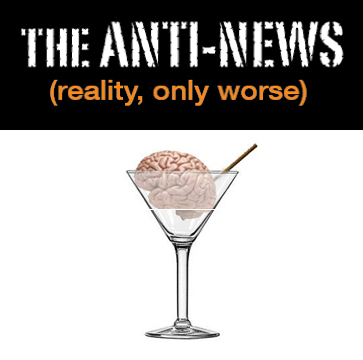 Anti News #69: Pre-Traumatic Stress Disorder: the new P.T.S.D. Anti News #66: Special Government Shut Down Issue! Anti News #64: Non Recyclable Products - The New Black! Anti News #63: GOD OUSTED IN RECALL VOTE! Anti News #54: TOOTH FAIRY ARRESTED! Anti News #48: FETUS PREGNANT! Anti News #38: Texting during Neurosurgery: Should it be Banned? 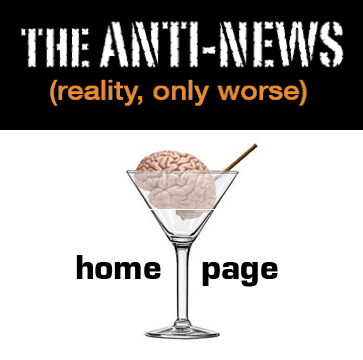 Anti News #33: Starbucks Supertanker SINKS!